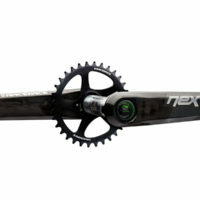 The CINCH Power Meter gives you the tool to train for the Enduro and XC glory you truly deserve. Protected in your BB Shell, the CINCH Power Meter not only gives you the advantage you need to gauge your training and push your boundaries, but it does it with the compatibility and performance you have come to expect from CINCH. Thanks to the adaptable spindle, you can pick your poison from NEXT SL G4 to our Turbine R cranks, and with our CINCH App and both ANT ™ and Bluetooth®, you can hook it up to your favourite head unit and be on your way to the wattage cottage in no time.